For the first time, a team from Tarver-Rendon won 1st place in the Battle of the Bluebonnet district competition. 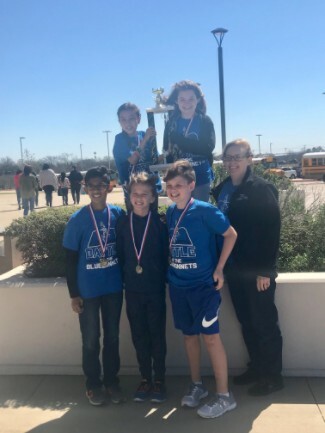 We would like to give a huge shout out to our championship team members- Lincoln Wright, Jordan Hanes, Abby Lopez, Anay Bhakta and Jacob Devlin. We appreciate the hard work all of the Battle of the Bluebonnets students put in to read and discuss the books. We also want to thank the sponsors- Mrs. Buckles, Mrs. Crouch, Mrs. McCain and Mrs. Hakanson.